Upping the ante ahead of the election in three months time, FIA presidency hopeful Ari Vatanen has accused rival Jean Todt of using FIA money to finance his campaign. "Jean goes with a private plane with his girlfriend, supposedly as a FIA representative, to various parts of the world," said Vatanen, according to the Daily Telegraph. "In fact, he is doing a campaign totally supported and paid for by the FIA." Todt's campaign team - which includes Max Mosley's former right-hand man, FIA director of communications, Richard Woods, recently described by three separate journalists as among the five most important/influential people in F1, though little known outside the paddock - was quick to hit back, claiming that Todt's partner, the actress Michelle Yeoh, as a global ambassador for the FIA's Make Roads Safe campaign and describing a recent visit by the couple to Africa as above board. "As a trustee of the foundation, it's unclear why Ari has misrepresented the campaign's achievements and Michelle's participation in this way," a spokesman told the Telegraph. "Michelle recently attended a major road safety conference in Africa with her partner and FIA Foundation trustee Jean Todt. She met with the President of Tanzania and spoke at a press conference with four African transport ministers. None of this was at the expense of the FIA." Now while Vatanen's comments could be seen as 'sour grapes', it's worth noting that only last month a Malaysia MP demanded full disclosure on a deal which saw Todt appointed a tourism ambassador. Speaking in Parliamnet, Azmin Ali alleged that Todt's annual fees are in the region of £100,000 - and that's a pretty nice region - while he was also paid £66,000 for his holidays in Malaysia. In addition, Azmin demanded to know the land premium which had been offered to Todt and Yeoh when they built their home in Pulau Besar near Kuala Terengganu, the Frenchman having previously been given approval to participate in the Malaysia My Second Home programme which allows him to buy property and live in Malaysia. 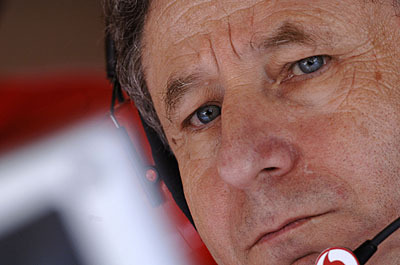 Todt, who in 2006 was given the official Malaysian royal title of 'Datuk' - the local equivalent of a knighthood - by Sultan of Terengganu, has since been appointed Malaysia's tourism ambassador, pledging, according to the Malaysia Insider; "to organise familiarisation tours and tap into his wide network of contacts to help promote the country as a tourism destination". Referring to Todt's role as tourism ambassador, Azmin is equally unimpressed, asking Parliament why the government was spending so much for Todt to promote the country when Tourism Malaysia had offices all around the world, ostensibly for the same purpose. Speaking at a subsequent press conference, Azmin claimed that the £100,000 was for Todt to attend a minimum of two international missions to promote Malaysia overseas and two international events in Malaysia each year. Asked about the land deal and whether Todt was given it at discount or free, Azmin refused to comment, though he did say: "I will wait for the government to make a full disclosure before revealing further details."